If your skincare routine needs a fresh boost, you'll love the new lineup from Farmhouse Fresh. They have some amazing new body washes and an entire new collection called Organics. This collection is certified to the NSF/ANSI 305 standard so you can be sure you're getting the purest product possible. There are eight new products making their debut in this collection - everything from lotions to a rich, invigorating body polish. 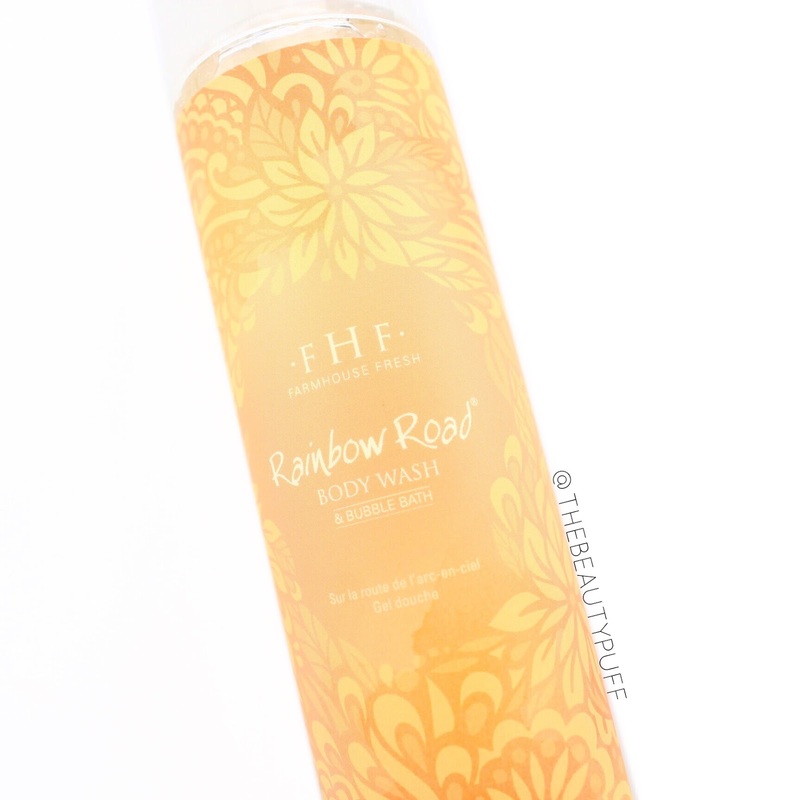 Body Wash | Farmhouse Fresh's new body washes feature three irresistible scents - Fluffy Bunny (mint julep + lavender), Rainbow Road (pear + coconut), and Pink Moon (sugar + licorice). I have Rainbow Road and it's a really nice refreshing, fruity for spring and summer. The formula is really hydrating and silky on the skin. I also love the sleek, easy to use design of the bottle. Farmhouse Fresh always gets me with their packaging! Lotions | I have two of the lotions from the organics line - the Sweet Milk hand lotion and Island Elixir hand cream. Sweet Milk is a nice subtle scent that's great for those who don't want their lotion to be too over-powering. Island Elixir is a scrumptions mix of pineapple and coconut. If you love pina colladas, you'll love this scent! It's a great fragrance for summer especially. Both these formulas are really hydrating without leaving any uncomfortable stickiness or film on the skin. Great for on-the-go! Body Scrub | One of my favorite parts of this collection is the Big Bare Whipped Shea Butter Body Polish. This body scrub has organic sunflower seed oil, shea butter and vitamins A, D, and E. The exfoliants are organic sugar crystals which provide thorough, yet comfortable exfoliation. My skin is left feeling smooth, hydrated and refreshed. Not to mention, this scrub has an amazing light, sweet scent. Could your beauty stash use a little spring cleaning? Farmhouse Fresh is a great place to start. Check out their entire line below!